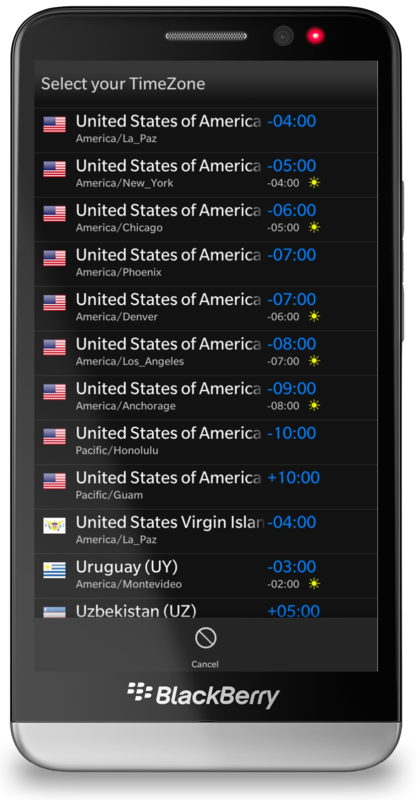 Supporting TimeZones is essential for mobile Business App TimeTracker. 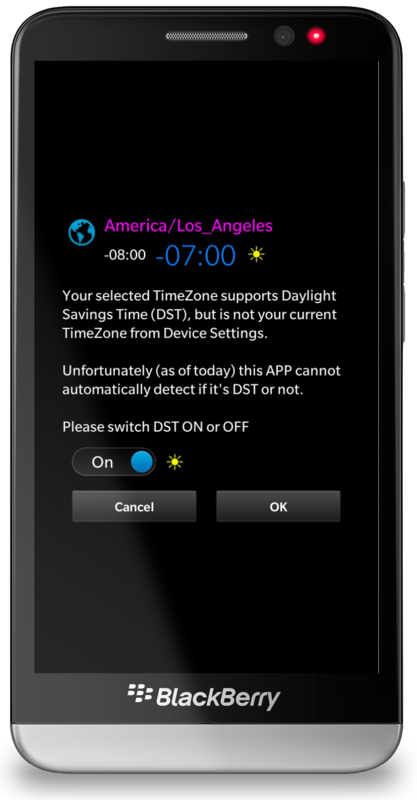 By default the local TimeZone is visible for the User. 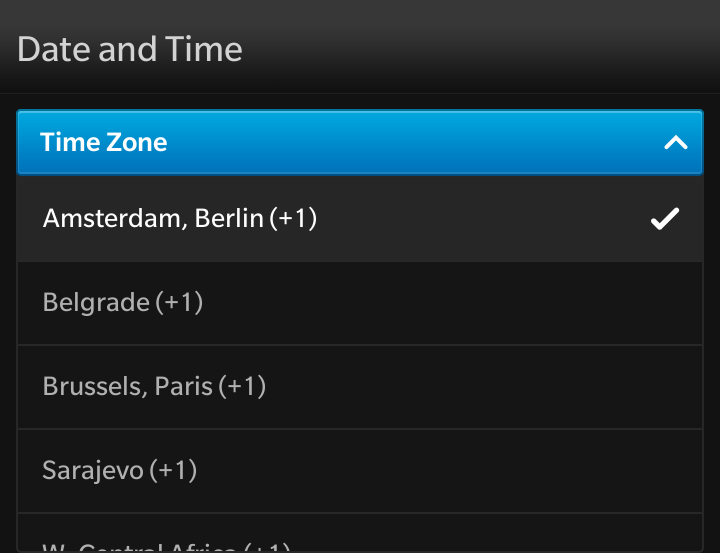 @Home / Company TimeZone is stored under User Settings. UTC is always used by internal calculations. 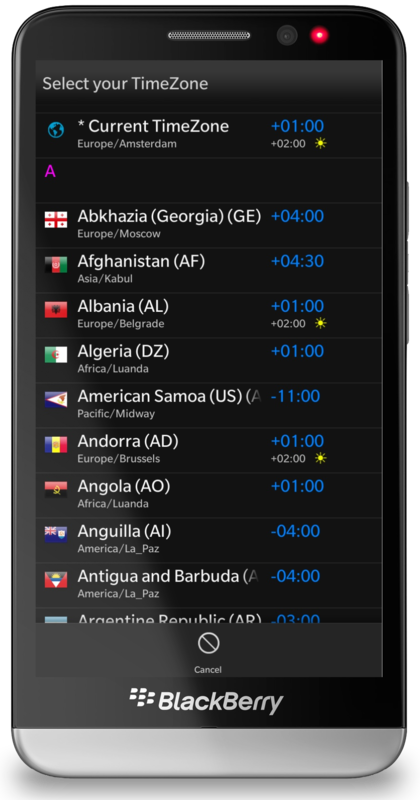 So I had to rebuild this from informations in the web on the TimeZones used by BlackBerry. This is only needed in very rare cases, so I think we can live with the workaround – hopefully Cascades will support this soon. Please take a look at the calculated time: 18:36 from 13:37 to 23:13 – TimeTracker caclulated correct because there’s a TimeZone difference of 9 hours between +02:00 and -07:00. 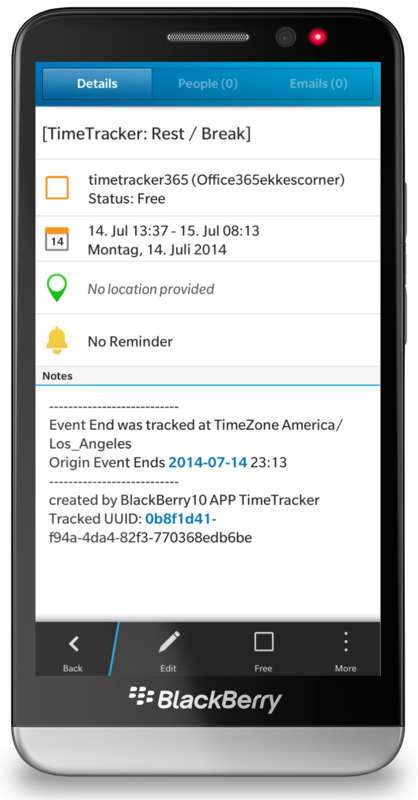 TimeTracker entries can automatically be added to a connected Calendar. 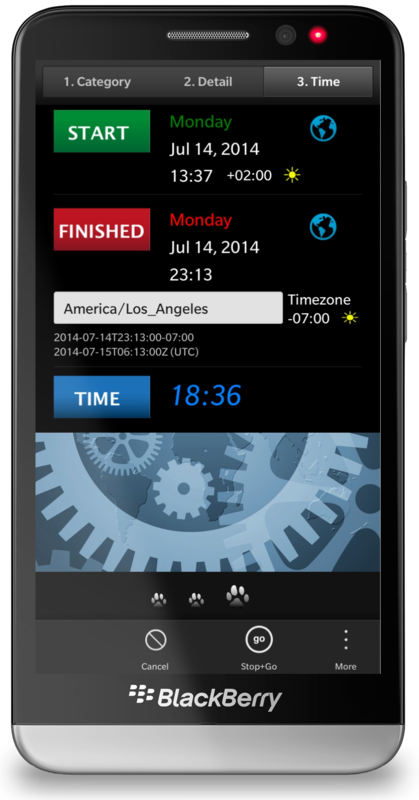 TimeTracker supports multi TimeZones per item as you can see above where we started in Germany and stopped in LA. Instead of Event ending on July-14 23:13 the Calendar entry ends on July-15 08:13. To inform the user about the real stop time, I added a comment under ‘Notes’. As usual: all complexitiy hidden to the User ! Posted on 2014/07/12 2014/07/15 by ekkescorner	This entry was posted in International. Bookmark the permalink.